Consolidation is in the air, as two well-known players in the DevOps space—Perforce and Perfecto Mobile—are joining forces. Perforce has announced its intent to acquire Perfecto Mobile for its mobile and web automation testing technology, which, when combined with Perforce’s existing portfolio, will better enable organizations to achieve continuous testing at scale. It’s a great combination and one I believe will be well-received in the industry. Perforce CEO Mark Ties and Perfecto Mobile COE Eran Yaniv spoke with me about the acquisition and its potential impact on the testing space as a whole, and Perforce’s plans for more acquisitions down the road. Alan Shimel: Hey, everyone. It’s Alan Shimel, DevOps.com, and you’re listening to another DevOps Chat. Today’s DevOps Chat is breaking some big news. The news involves the merger – acquisitions and merger of Perforce and Perfecto Mobile, two pretty well-known brands in the DevOps space. News just came out this morning and we have with us the CEO of Perforce, Mark Ties, as well as the CEO of Perfecto, Eran Yaniv, and if I mispronounced anyone’s name I do apologize in advance. But gentlemen, welcome. Mark Ties: Thank you very much. Great to be here. Yaniv: Thank you very much. Shimel: – on the other hand – thank – you’re welcome. Mark, on the other hand, any time you could, you know, take the helm of a company that’s out here and getting entrepreneurs to actually, you know, trust you with their baby, so to speak, and it shows a level of trust that you will do right by them and right by their customers, so congratulations to you as well. Shimel: Let’s dive in a little bit though, Mark. What kind of drove this? What drove the acquisition here or the merger? Ties: Since we acquired the management team at Perforce, acquired Perforce a couple years ago, and we’ve been on a journey here to create what we believe will be a strong DevOps player in numerous assets of the space, and as of recently we’ve been very focused on the testing environment witnessed by our earlier-in-the-year acquisition of PRQA and Static Code Analysis and now Perfecto, so Eran and I have been chatting for a number of months here and we’re just, you know, absolutely excited, ecstatic, that we’ve gotten the opportunity here to partner with his cofounder Yoram and himself and the rest of the Perfecto team to bring their capabilities in web and mobile testing into the Perforce family, so that’s really what drove it, is our focus on testing and then their industry-leading capabilities. Shimel: Sure. Eran, what about you? You know, Perfecto Mobile – I mean I’ve had DevOps.com now for four and a half years with publishing. Perfecto’s always been on the scene. We’ve had the pleasure of doing webinars and reports and conferences, sponsorships with Perfecto. What was the, you know, impetus to do this deal now? Yaniv: Well we were kind of discussing this internally for a while now, and when we look at the market we believe because the market is evolving more and more towards implementing DevOps-related processes when there is a requirement with which we call internally a gorilla in the market. The decline of CAs and, you know, IBMs and the HPs of the world is actually opening up – has actually opened up quite a few opportunities and we thought that – we think that the development of a very strong leader in the DevOps market is something that is required, that the market is actually requiring. And so we, you know, were looking around to see what companies are out there that would make sense for us to merge with or acquire or get acquired; something that would create something of a bigger size and a bigger voice in this market. And, you know, there were various options but we – you know, I really like this notion Perforce because I think nobody in the market really saw it coming, and for us it’s a very exciting opportunity because the offerings are complementing – even complementing status in terms of the install base, so the opportunity was there to actually make it happen and, you know, it aligns really nicely with what we were thinking about the market, so we went forward. Yaniv: I’ve got to say one more – I’ve just got to say one more point that I think is very important, and that is the initial chemistry with the team at Perforce made it a very easy decision. Shimel: You know, Eran, on that point I will tell you just this culture is important in DevOps in doing mergers and deals like this. The chemistry of the teams is as important or more important sometimes than even the numbers in the books, right? Because the merger doesn’t end on the day of the merger; it only begins. And, you know, it’s important that you have that in there. If I can offer my two cents as an armchair quarterback, I think what we’re seeing here is also the result of a larger trend in the DevOps space. You spoke about CA, which is, you know, now getting acquired by Broadcom and there’s perhaps uncertainty there, the IBMs – you know, certainly while these companies played in the DevOps space they weren’t necessarily perceived leaders in DevOps, in the DevOps space and, you know, when you see a company like GitHub, which started out as a code repository, right – it did open source good – getting purchased for, you know, this $7.5 billion by Microsoft, it wasn’t just as a code repository, obviously. And, you know, just recently in the last two, three, four weeks companies like GitLab, you know, with $100 million raise, $1 billion-plus valuation, last week it was JFrog with a DevOps platform with $165 million raise, over $200 million raised – you would have to assume they’re also over $1 billion – it certainly seems like the time is ripe for size. Size matters in DevOps, right? Size and scale matter. And so, Mark – go ahead. Yaniv: _____ primarily in the _____ area. The thing that I like about the Perforce Clearlake, if you will, in conversations with – and this is what I really like, is the fact that they are dead serious about what they are doing and their moves are very, very quick and they’re very nimble in their decisions and that’s something that makes a lot of sense and it also coincides with what DevOps is all about, right? So I think that’s a great addition. Shimel: Absolutely. Mark, let’s hear from you. You know, what’s Perforce’s take on this? Are you in violent agreement or maybe something else to it? Ties: I’m in violent agreement with the number of the comments that you’ve made. You know, the space – you know, the research that we’ve done around the space for the last three-plus years now is that this space and environment is going to consolidate, and as a result of that consolidation, you know, those players that can put together best-of-breed technology, that can bring the value that the customer’s ultimately desire or need will be – you know, they will be the players that will rise to the top, and we believe we’re doing that with our version control solution _____ Perforce with our _____ solution and now with web and mobile solutions with Perfecto along with the other technologies that we have. So I’m in violent agreement with that. You know, this won’t be the last acquisition that Perforce will do. Ties: – during the acquisition, and I think all of the personalities on both sides of the fence with the Perfecto team and with our team are focused on one thing, which is creating a great company that has great products, phenomenal customer support, and then ultimately new customers. So it’s just – this is a great marriage and, you know, I look forward to continuing to drive it with my team with Eran and with Yoram and the entire Perfecto team. Shimel: Absolutely. On that point, let me ask what are the plans? Eran, will you be staying on? What will your role be? What about the rest of your executive team? Ties: Yeah so, you know, again, we’re in the days – we’re in the early days here, but the hope on my end is that Eran and team stay around and Eran will be leading this business as an independent segment, subsidiary, whatever you’d like to call it of the Perforce family reporting directly into me, so that is the plan. Now we do have teams obviously from both sides of the house working on the formal integration and how we’ll bring the companies together over the days, weeks, and months to come. We’ve just signed the agreement here earlier this week and we hope to close it by the end of the month. And, you know, we will take our time. We will be very diligent in what we’re doing here so that we do not disrupt either businesses, because right now both businesses have been very successful. Shimel: Excellent. Mark, I’ve got a question for you. 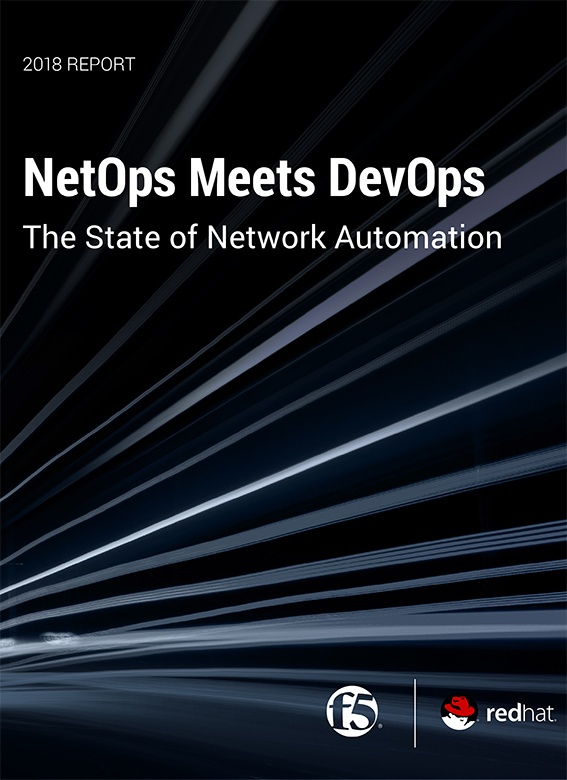 You know, with each of the kind of deals and money raises that I mentioned earlier, I’ve spoken one-on-one with the CEOs, and one of the things I’ve asked them is what is their vision for how their company – you know, where does their company fit into the larger DevOps? You know, so for instance, GitLab wants the first true end-to-end DevOps product line. Shlomi Ben Haim at JFrog, they want a true DevOps platform that handles all artifacts, anything related to artifacts. Can you succinctly give us what is the vision – right? – for Perforce? What – you know, when you’ve done 5 more acquisitions, 10 more acquisitions, whatever it is, what’s the vision for what Perforce will become and what you’re striving for? Ties: Yes. So there are some very grandiose visions out there, and you’ve mentioned a couple of them. Ours is very simple; we want to be the enterprise player at scale. I mean we provide a very strong solution to enterprise customers that are looking for speed, scalability, security – to name a few of the attributes of the products that they’re purchasing and look to acquire as their providers. So that’s what we’re looking to do, win every inch. All right? We’re not gonna win every market vertical, but the verticals that we choose to go down our plans are to do nothing but dominate them, and so that’s why we’re looking for industry leaders like the Perfecto solution, like the Perforce solution and the others that we’ve acquired, to make sure that we continue to demonstrate the need that our enterprise customers have. Yaniv: And this – and if I may, investing in the vision that Mark articulated around the enterprise aligns extremely well with what we were thinking back in a narrow – if you will, in a narrow space, which is around the continuous testing. But in the notion of addressing the enterprise and the specific ____ that we would be strong at, would make the vision, the joint vision, something that is really great, and that made it also very, very easy for us to _____. Shimel: Excellent, excellent. Well, gentlemen, let me wish you both success and congratulations. We’re about out of time here on this DevOps Chat, and I’m sure you’re both very busy. It is an exciting day. Maybe we can check back in a few months when the dust settles a little bit and see how things are going and where you’re headed from there, all right? Yaniv: I’d be happy to. Ties: – continue the conversation. Thank you. Shimel: Okay. Mike Ties, CEO of Perforce, Eran Yaniv, CEO of Perfecto, Announcing the merger of their two companies, and as Perforce continues to scale in the DevOps space. Thanks for being this episode’s guest on DevOps chat, gentlemen. This is Alan Shimel for DevOps.com and you’ve just listened to another DevOps Chat.